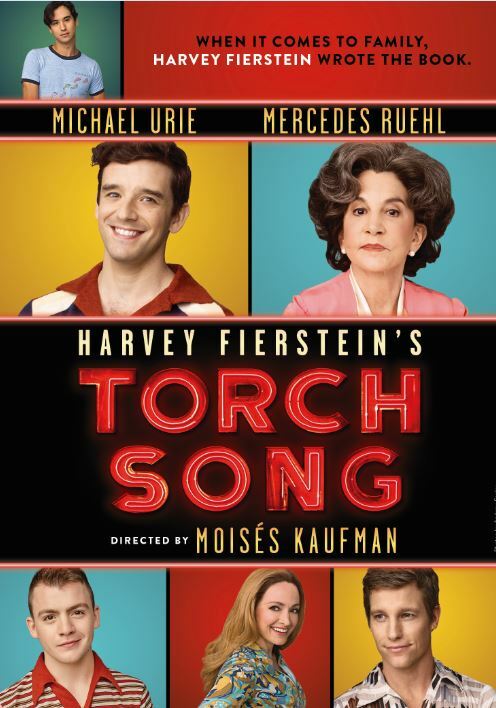 The acclaimed production of Harvey Fierstein’s Torch Song ended its run on Sunday, January 6, 2019, at the Hayes Theater, the same Broadway stage where the Tony Award®-winning premiere forever changed the face of popular entertainment, prior to embarking on a national tour launching fall 2019 at Los Angeles’ Center Theatre Group at the Ahmanson Theatre. The national tour will star Michael Urie, reprising his lauded Broadway performance as Arnold Beckoff. Directed by Tony Award nominee Moisés Kaufman, Harvey Fierstein’s Torch Song follows Arnold Beckoff’s (Drama Desk Award winner Michael Urie) odyssey to find happiness in New York. All he wants is a husband, a child, and a pair of bunny slippers that fit, but a visit from his overbearing mother (Tony and Academy Award® winner Mercedes Ruehl) reminds him that he needs one thing more: respect.